Hawk Wargames • View topic - And Now - The Monitor! And Now - The Monitor! One of the more interesting aspects of the announcement today regarding Dropfleet (apart from the fact that we can expect both Destroyers and Dreadnoughts next year around the drop of Dropzone 2.0) is that we will also be seeing the arrival of Monitors. 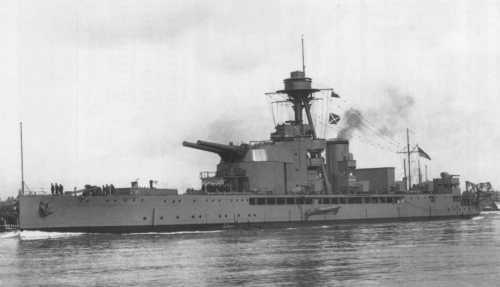 In history they have been smaller ships, usually not very fast but with a small number of massive guns... usually the same calibre as whatever the Battleships of the day were armed with. They were usually intended for use in shallow waters and as fire support ships. Now in Sci-Fi tradition they have usually been in-system defence ships, slow and not jump capable but usually heavily armed and often heavily armoured as well. But often using outdated tech (from a previous generation), so likely high sig and low scan in Dropfleet terms. Do we know anything about Monitors in the Drop universe? What do you expect them to be? Re: And Now - The Monitor! If following the standard Sci-fi definition they'd be hard to use since no FTL means they'd be limited to acting as defenders in scenarios which gives them limited value to anybody who's not playing campaigns. In RL history monitors commonly found themselves in a shore bombardment role, but that role has fallen to differing ship types depending on the faction. I see a ship with 4 or 5 hull, slower than cruisers but better armour with a single battleship grade weapon. Nobody wrote: If following the standard Sci-fi definition they'd be hard to use since no FTL means they'd be limited to acting as defenders in scenarios which gives them limited value to anybody who's not playing campaigns. Well, we don't actually have clear "attacker-defender" style missions so I don't think that's relevant. If one side has Monitors, then clearly the other side is on the offensive, and if both do then clearly it's a system where the battle is ongoing for long enough that heavy support transports have brought up in-system assets like Monitors for additional firepower. It's not hard to handwave away. Nobody wrote: In RL history monitors commonly found themselves in a shore bombardment role, but that role has fallen to differing ship types depending on the faction. Indeed, but I wouldn't be surprised to see at least some of the ships performing in that role. Perhaps some of them will also be able to enter the atmosphere and do the same kind of Close Support bombardment as the Medea. BlackLegion wrote: I see a ship with 4 or 5 hull, slower than cruisers but better armour with a single battleship grade weapon. Indeed... though what counts as a "battleship grade weapon" is pretty flexible. The Scourge and UCM Battleships are basically just armed with sets of their standard Cruiser weapons and I'm not sure that we'll see any of the Crippling options on something so small. Here is my take on UFC monitor based on Roberts class monitor used by British Royal Navy during World War Two. Dheran wrote: Here is my take on UFC monitor based on Roberts class monitor used by British Royal Navy during World War Two. The most crucial thing is the balance between Sig an Thrust/Threatrange. There would be basicly no reason why not bringing a lightcruiser instead. I'd leave it slower but reduce the signature I guess. No offence taken. Could be that monitors of this type will have lower sig, e.g. 5". Could be that they will be cheaper, therefore allowing for some loses. Higher Sig lower Scan CAN work (just look at the Scourge). And I think it's a good design space to work out of, if only for something different. But the Battleships show that this can ALSO fail badly, so it'll need to be executed well. Well, yet. DZC had different mission parameters added in later rules expansions (critical locations for example), so any hypothetical book that added monitors could also add attack/defend missions. After thinking on it, I'd guess that DFC Monitors would be some kind of light cruiser with a fixed dorsal mount gun that can do a lot of damage but also has a drawback (like no course change when firing). Admiral JCJF wrote: Well, we don't actually have clear "attacker-defender" style missions so I don't think that's relevant. Fair call, but we can mostly make the same argument. If you ARE attacking and have Monitors in your fleet then it's obviously some kind of counter-attack, or an ongoing campaign, or something like a surprise strike with strong local preparation in secret. Nobody wrote: After thinking on it, I'd guess that DFC Monitors would be some kind of light cruiser with a fixed dorsal mount gun that can do a lot of damage but also has a drawback (like no course change when firing). I'm thinking less Light Cruiser and more mirror-image to the Destroyers. If a Destroyer is fast, lightly armoured and high tech then the Monitor is slow, heavily armoured and low tech... but roughly equivalent in weight class. So less the WWII British Monitor and more the 19th century kind.